You can use the gift certificates to buy any kind of gifts from shops that have a swap card facility by ordering our Resembling credit certificates, gift certificates are identified by a specific code or number and not with the name of an individual. 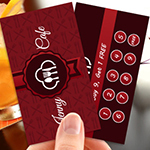 We provide loyalty card printing for customers so that they can accumulate points for future discounts. During the holiday season gift certificates printing becomes more popular such as our 3x7" gift certificate printing for Christmas Eve , because the gift certificates make for wonderful presents indeed. We offer custom gift certificate printing such as 3.5x7.5" gift certificate printing for salon an spa could be a great gift to the bride to be. We are the largest provider of gift certificates printing in USA. Our attractive and colorful designed gift certificate has a strong impact which is instantly popular with both the customer and retailer. 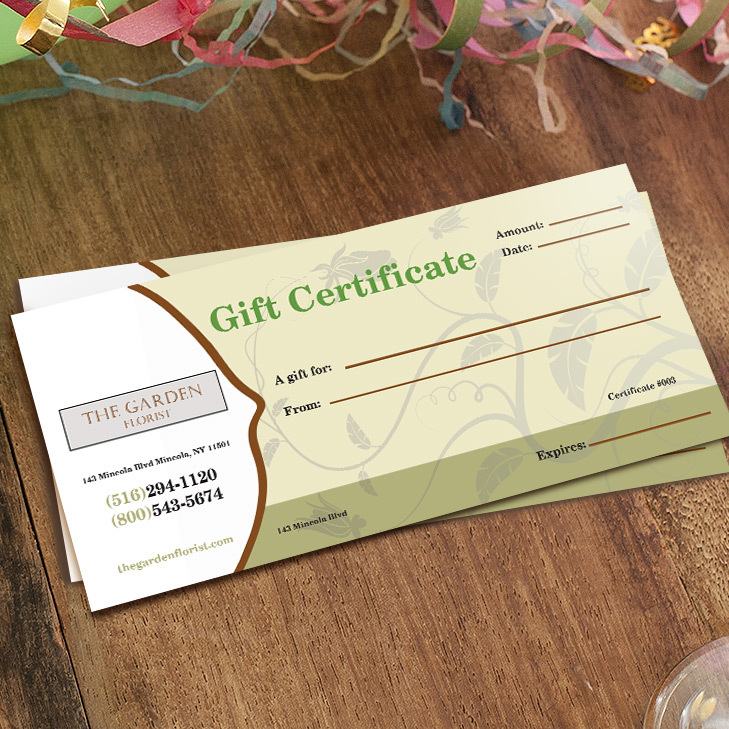 The 3x7" gift certificate printing for promo winners is of high demand and gives your customers the sense of being highly valued. 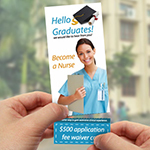 Get our tear off card printing as well to provide discounts on future purchases. 14 Pt. is one of the most popular cover stocks used in commercial printing for Full Color and Spot Color projects that are required to hold up against the rigors of lots of handling and heavy use and keep its original printed beauty for a long time. Custom Gift certificates are a great answer for almost any business! They are perfect for spas, health clubs, holistic centers, beauty salons, gyms, restaurants, bars, gift stores, boutiques, florists, children’s clothing and toy stores and so many other specialty retailers. Reward loyalty and purchase amount: This might seem obvious, but I think a lot of businesses fail to include gift cards as one incentive in a customer loyalty or rewards program. They can also be used on the spot when a person spends over a certain amount. Use gift cards as coupons: When a customer is purchasing a high-dollar item, offer them a gift card that can be used right then and there. Again, this type of unexpected discount encourages customer loyalty and even evangelism. Couple gift cards with coupons: When people purchase the 3x7" gift certificate for couples or for some other special occasion, have your latest coupon or promotion handy to give out. This might be all it takes to get that return visit. Work together with other local businesses: Try joint gift card promotions with a business that's complementary to yours (chocolates and spa sessions make a great pair). Or, make gift cards from each local business in the co-op available in all participating stores. Use the gift cards as part of a sweepstakes: Again, tie loyalty cards and gift cards together by making them part of a sweepstakes. Each time a customer swipes a loyalty card, he or she gets another entry in a big ticket gift card drawing. Offer gift cards as part of an upsell process: "If you're willing to spend this much more, I'll give you a gift card worth..."
Use them to build social media presence: Offer gift cards to your 1,000th follower or put everyone who tweets a special hashtag into a drawing. You can even use them to encourage bloggers to write about your establishment (with proper disclosure, of course). Support a local charity with proceeds from gift card sales: Let customers know each time they purchase a gift card, a certain percentage goes to support a charity of your choice. Maintain a running total on your website and/or in the store to assure customers that the charity truly does benefit. Provide customers with ideas on how to "wrap" gift cards: Although they are popular, gift cards are seen as somewhat impersonal gifts. So, display some really creative ideas that customers can use when they give the gift card away. I printed gift certificates for my customers; they were so excited with the gift certificate that they introduced more customers to my business. "I gave out a ten dollar gift card for every one hundred dollars spent in my store, and I acquired many new customers"
I gave a surprise to my family with a gift certificate on the holiday season. They were so excited. Good luck for such great job. Product: Gift Certificate, 3" X 7", 3.5" X 8.5"